Where Thai girls wins World Women Team Snooker, The Masters team of Thailand comprises of Chuchart Trairattanapradit and Suchart Sukliem knocked out Morgan brothers, Darren and Wayne of Team Wales 5-3 in the final. Team Thailand of Chuchart Trairattanapradit and Suchart Sukliem has won the quarter final bout in straight set of frames 4-nil against Egypt 3 of Walid Abdel Mohsin and Mostafa Mahmoud to confirm their entry into the medals round. 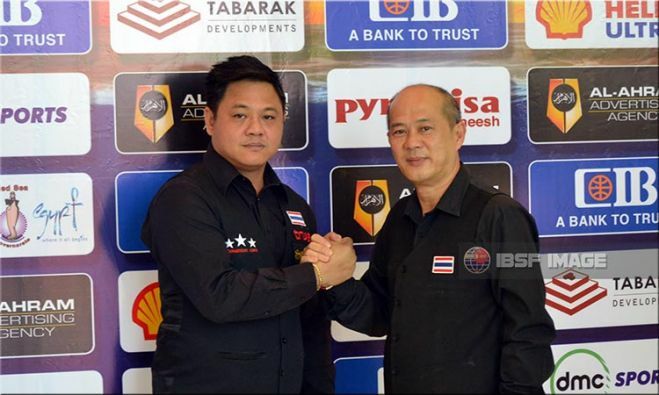 Team Thailand has defeated Team India-1 5-1 to win the final of 2016 IBSF World Team Masters Championship, here at Sharm-el-Sheikh, Egypt.